Cole's Got Talent coming soon! Show info: February 23rd, 2019 5:30-8:00 pm, hosted by the Senior class and Project graduation. Hello Fort Sam Houston Parents/Students! 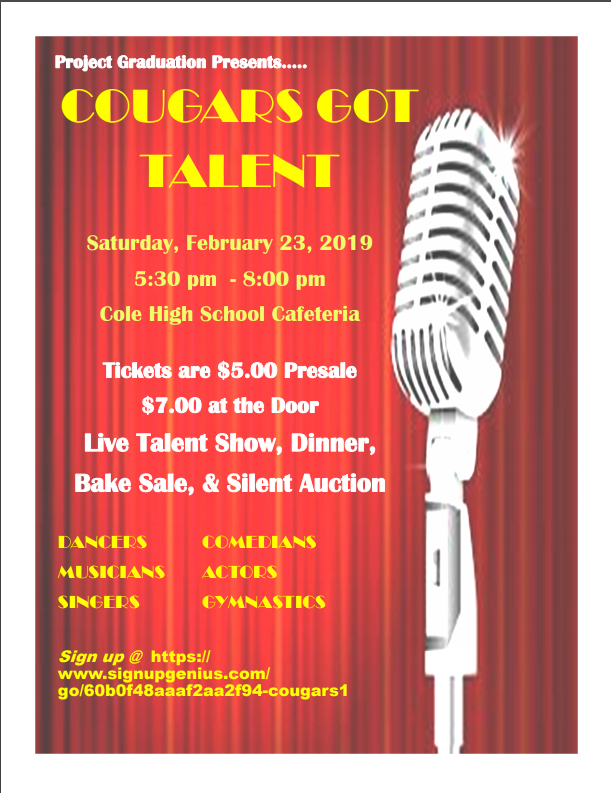 The Senior Class and Project Graduation from Cole High School is honored to host the Annual Cougar's Got Talent Show and Dinner on February 23, 2019 from 5:30-8:00pm. Pre-Sale tickets are $5.00 per person and can be purchased at the Middle and High School Offices. Tickets will be $7.00 per person at the door. Dinner will be provided with the purchase of a ticket. There will also be a Bake Sale and Silent Auction during the event. The Talent Show will feature students from Elementary through High School. Please come out and support our Fort Sam Houston Students and their many talents. If you would like to participate in the Talent Show, please use the link below to sign up for an audition slot. 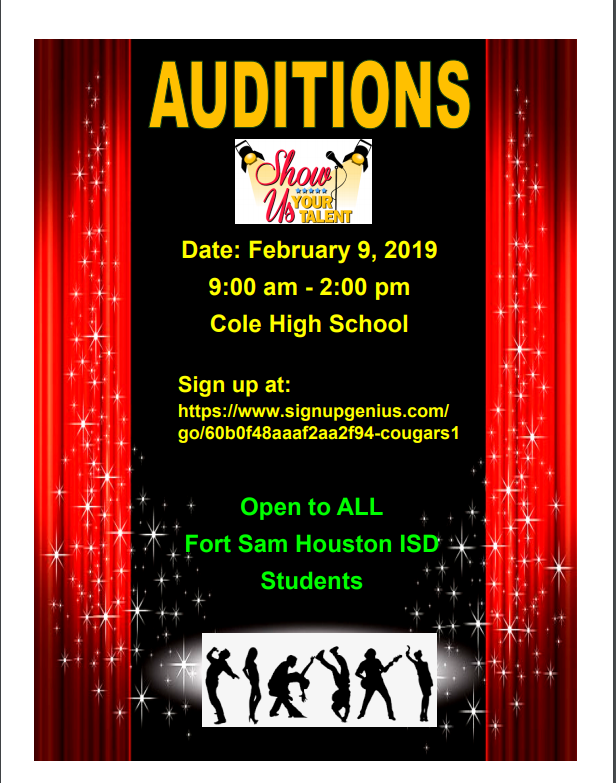 Auditions are scheduled for Saturday, February 9, 2019 from 9:00 am - 2:00 pm at Cole High School. If you have any questions or need more information, please do not hesitate to contact Melanie Gonzales 210-400-4151 or Kimree Barr 334-717-1236.